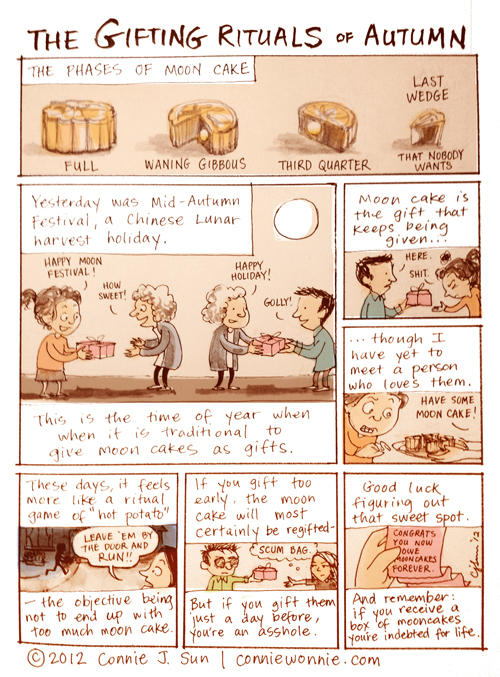 Don't forget the wedding cakes, which are basically a super-sized moon cake. A good tradition gone bad. Sad but pretty much true.